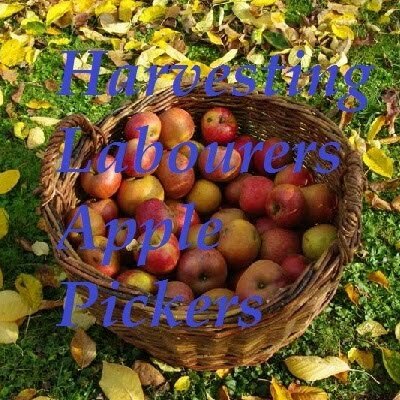 Harvesting labourers assist other farm workers to harvest, sort and pack crops. They are more commonly associated with harvesting fruits or fruit picking like an apple picker. Clean up racks, trays, and growing and packaging areas. Fruit picking is often done by migrant workers as they can be paid relatively low wages and usually do the job quite well. There are no specific education or training requirements to be hired as a harvest labourer/fruit picker. Progression to other farm worker positions is possible with experience. how can i apply for Picker Harvesting job ? ey, nice site you have here! Keep up the excellent work!